It's September and that means it's time to celebrate Oktoberfest in Newberg. 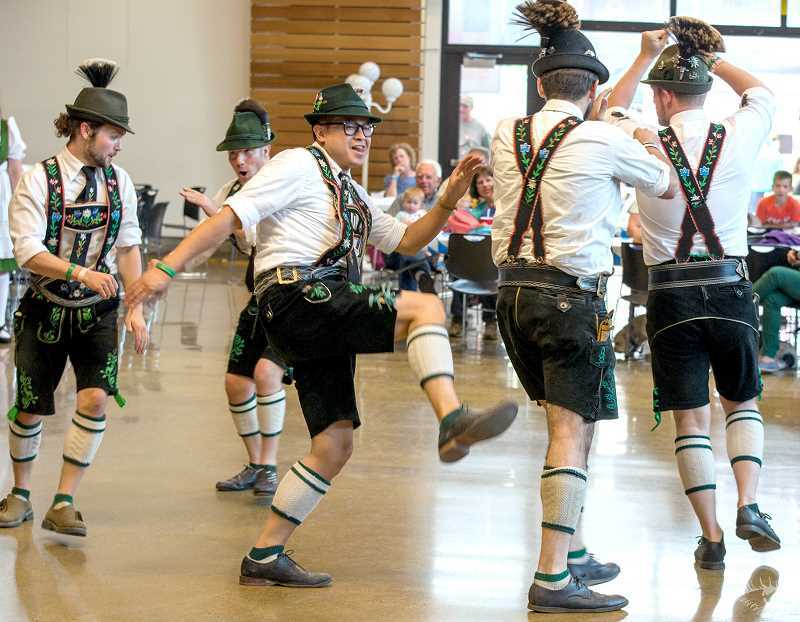 Newberg's Oktoberfest fuses German tradition with Northwest style in a celebration that mixes the familiar smell of bratwurst and sausage with the sound of a German accordion band. The seventh annual event runs from 4 to 10 p.m. Friday and noon to 10 p.m. Saturday at the Chehalem Cultural Center. The two-day festival began seven years ago as a celebration of the fall harvest and a fundraiser that attracts more and more people each year. People come from all over to immerse themselves in a variety of traditional Bavarian food with a mix of Northwest offerings. "We really said that we need an Oktoberfest in this town," Rotary co-chairman Bob Travers said. "Yet, we found that we are a little bit different than the Mount Angel type of Oktoberfest. We knew that it was not a true Oktoberfest and we agreed that we maintain it with the Northwest style, and we still have the oom-pah players that is Oktoberfest." There will be plenty of opportunities to down beer and wine at the beer garden as more than nine local and regional brewers and vintners will pour their handcrafted brews and wines as part of the German long-standing tradition. While looking for acts to book, the Early Birds Rotary Club strived to provide something for all ages – bands who are entertaining, but also unique. My Happy Pill is scheduled to play from 7 to 10 p.m. Friday and the well-liked Hit Machine Band will perform from 7 to 10 p.m. Saturday. Haldeman's Oom-Pah Boys, an accordion led German band, will perform from 4 to 6:30 p.m. Saturday. A new venue is making its debut at the event this year: a trailer will be parked at the festival that is full of video games to play inside as a new form of entertainment. 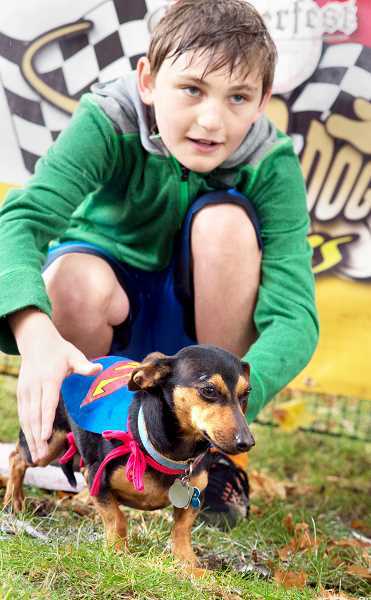 The event's popular Wiener Dog Race is from noon to 3 p.m. Saturday, but in order to race your beloved pet, two people plus the dog must register from noon to 1 p.m. There are other activities for all ages, including a water balloon toss, face painting and games for children that begin at 6 p.m. Friday. The Rotary club organized the event, sponsored by local organizations and businesses, as a fundraiser to help fund its sister city in La Plata, Columbia. Several projects were funded by the club both locally and in La Plata throughout the seven-year run of the event with funding from Oktoberfest. "We started this to get the funds and now it has morphed into a community-wide festival for Newberg and Dundee," Travers said. "We have support from clubs, individuals and sponsors. There is a good percentage of the city that is supporting this through their sponsorships. I think it (Oktoberfest) is here to stay."